Woodforest National Bank, a Woodlands-based financial institution, awarded a combination of investment and grant worth a total of $1.2 million to LiftFund, Inc., a San Antonio-based nonprofit organization. "It's our goal to continuously develop innovative solutions that support small businesses and entrepreneurs," said Doug Schaeffer, community reinvestment act executive director and executive vice president at Woodforest National Bank. The Woodlands National Bank offers online, personal, and commercial banking services. They have also been very active in supporting the Maestro Entrepreneur Center, a nonprofit small business incubator. 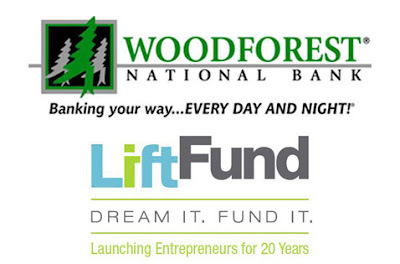 Moreover, LiftFund, Inc. was also awarded $350,000 grant from Wells Fargo to also help them support small businesses. In January, LiftFund organized a fund worth $7 million for small businesses affected by Hurricane Harvey.